Mail Art using illustrations from Babalon Babes issue four. Michele Witchipoo. Envelope in Madame ZuZu’s mail art show. Highland Park, IL. June 2013. If you’re in the Highland Park, IL area, the show opens today at Madama ZuZu’s. The exact address is Madame ZuZu’s Teahouse, 582 Roger Williams Ave Highland Park, IL. The show begins June 6th, 2013 at 6pm and runs through June 13th. 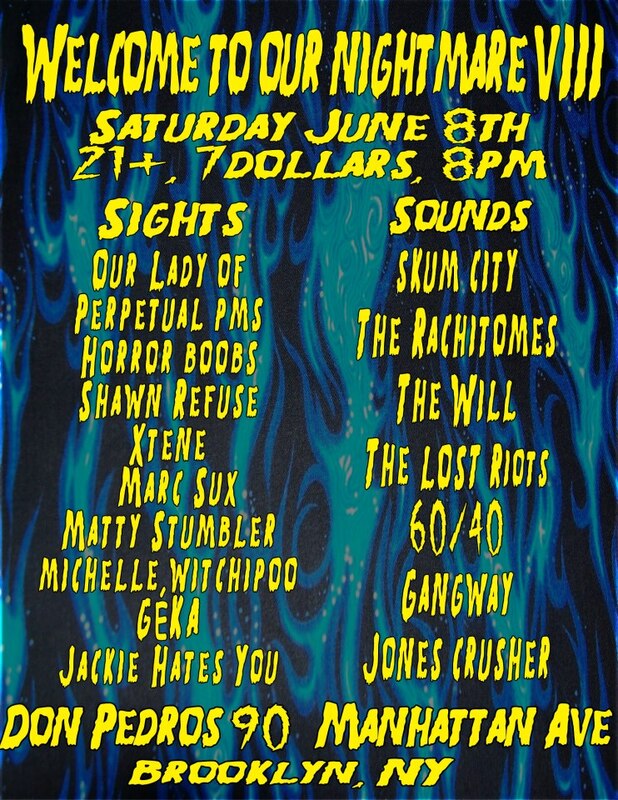 This Saturday, June 8th. I’ll be showing my art and have my work for sale at the Welcome To My Nightmare VIII show. Lots of artists and bands. Be there, or be whatever.